Divorce can be a difficult time for all parties involved. It is very possible that the last thing people want to do at this time is work together to sell a house. In our latest post, we discuss the easiest way to sell your house during divorce in San Diego. Depending on your personal situation, dividing assets and making the split can be both emotionally and physically draining. Even if you are separating on great terms, the process of selling a house, while you are going through such a monumental life change can feel overwhelming and stressful! There are easy ways to sell your San Diego house so you can quickly move on with your life and start moving forward again. At Mercury Home Buyers, we will make selling your San Diego house as simple as possible! Selling your San Diego house directly offers a wealth of benefits for those who may want to sell their home quickly. You won’t have to worry about cleaning up the house, getting it ready for the public MLS or keeping it in tip-top shape. You won’t have to worry about making repairs, upgrades or and renovations to the house before selling it. There is no need to hire a photographer, market the house or pay to have it listed. You won’t have to pay out any commissions once the house is sold. With a direct sale, you can avoid gambling with the sale. You will know how much we can offer and when we can close from the very beginning. People who are going through a divorce can be quick to point the finger. Things you might not have argued about before can quickly become an area of contention. Who will do the cleaning? Pay for the landscaping? Deal with the lender, insurance company, and utility providers? Selling can be a lot of work and it is important you are able to work together throughout the process. The last thing you want to do is set yourself up for more arguments and hassles. When you sell the house in days or weeks as opposed to a few months, you can avoid many potential bickering. 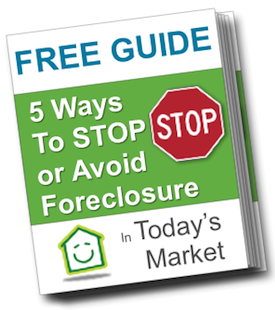 You will both be able to move on quickly without the financial ties to a shared property. When you list the house, you could spend months finding a buyer. From there, it could still be several more weeks or months until the sale is final. All of this uncertainty makes things even more stressful. If you are getting a divorce, you will likely want to be able to move on quickly rather than dragging things out. When you sell your house to a direct buyer such as Mercury Home Buyers, you won’t have to extend a situation that is likely pretty painful already. Selling your house quickly and easily will help everyone move on.